After an evening out a couple of weeks ago I was feeling a little peckish and in need of a sugar fix. Conveniently we wandered past a 7-Eleven where it is easy to find small packets of sweets, which I find great because I can still eat the whole packet but not feel bad about it. At between 5 and 10 Baht they are a bargain too. When I was seeking out my sugar fix I came across this chicken leg. 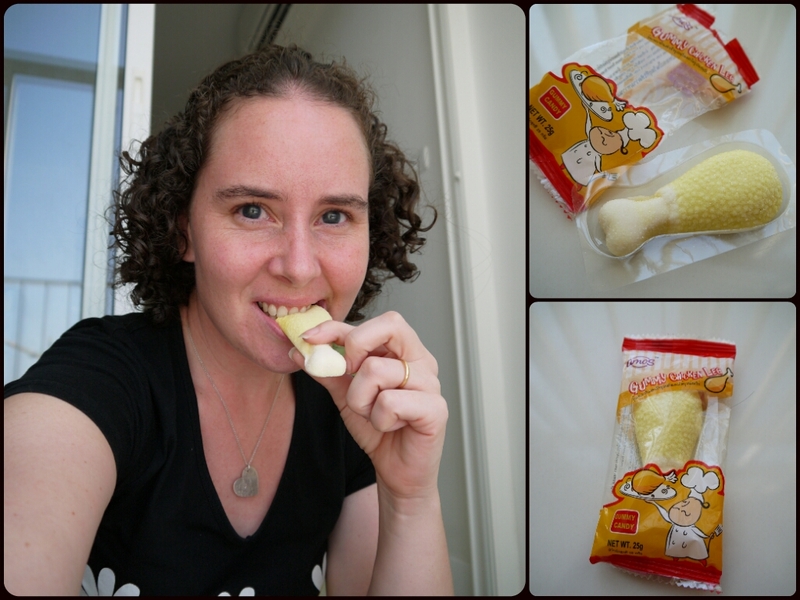 Checking the taste of the gummy chicken leg. Sadly it didn’t taste at all like chicken. 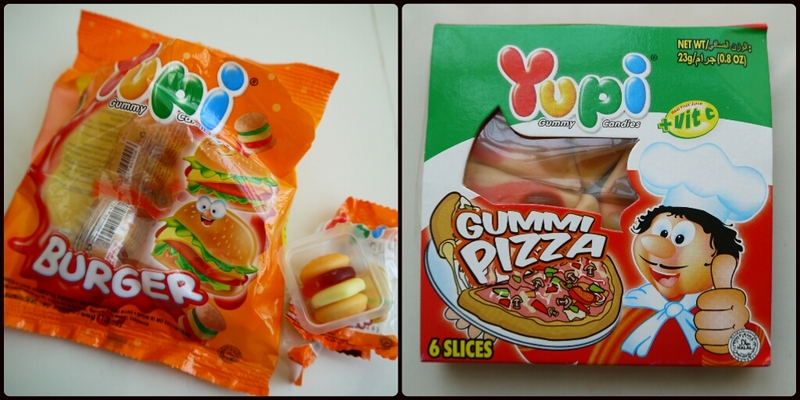 A few days later I purchased some candy Pizza and Burgers, just needing to check out if they taste like the original right? And I can let you know that neither the Pizza sweets or Burger sweets tasted like pizza or burgers. I know its common for sweets to have a lot of different shapes and designs but I really don’t get why candy companies think it is a good idea to shape candy into Pizza, Burgers or Chicken legs.